Gathering intelligence is a must for any company. Whether you are a multinational, an SME or a startup, it is one of the pillars of a strategy of continuous improvement. Competitive intelligence, legal intelligence, technological intelligence etc. It is not my intention to give you the pros and cons of each type of information gathered as plenty of other sources can get you up to speed in this area. Instead, I would like to give you five pieces of practical advice to implement effective intelligence gathering for your startup, thanks to our resident expert, Anne-Laure Marchand, Vitagora's economic intelligence analyst. "We don't have any competitors". Have these words ever passed your lips? If you, you are kidding yourself. Anne-Laure assures us that with an objective intelligence methodology, you will always end up contradicting this statement. "Before launching their startup, a lot of founders think they have no competitors. Your intelligence will always tell you one thing that is essential to your survival: no, you are not alone." 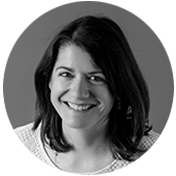 For Anne-Laure, intelligence must serve first and foremost to assist your startup's launch: the definition of your business model, estimating (and not over-estimating) your market potential, the orientation of your positioning and brand identity etc. For all that, you need to analyse your competition. "A product or service needs to answer a consumer need. You don't think you have any competitors because your offer is one of a kind? You're wrong - before learning about your product, your users already had a solution to their needs." This solution, even if it was old school, analog or deeply uncool, is also your indirect competition. The railway is for example the indirect competitor of peer-to-peer carpooling apps like France's Blablacar. The local farmers' market is the indirect competitor of subscription organic veggie box. Orange juice is the indirect competitor of your energising superfood drink. "It isn't always easy to hear (between us, it's better to have competitors - its a great indication you're onto a winning idea! ): this is why doing methodical intelligence gathering, especially using a map of your competitors' positions, using objective criteria, is a must," explains Anne-Laure. If intelligence is indispensible for launching a startup, you also can't do it with an end date in mind. Your competitors are changing. For example, shortly after the rush for a novelty, you often seen large companies developing the same offer. Your panel of competitors is diversifying all the time. Your clients are changing. "This is especially true in food business, where trends are fleeting and there is a great need for speed in product development!" says Anne-Laure, thinking of gluten-free, vegan or low-carb, all trends that have appeared in France within the last 3 years, and are currently influencing consumers. "In any case, with each development stage of your company, your intelligence will either disprove or prove your hypotheses - which will help you avoid the damage from making the wrong decision." "Intelligence takes time," explains Anne-Laure, "Partly because you are reading everything, going down every rabbit hole. On the other hand, the world isn't going to stop turning the moment you finish your intelligence bulletin. You are going to need to start over in a few months." How can you organise yourself? Anne-Laure has one word: "Prioritise". "Identify the types of intelligence that you absolutely need: competitor intelligence, of course. But also regulatory intelligence (if you a waiting for or dreading a change in the legal framework for your activity). Or indeed sales intelligence," she details. "Next, prioritise your tools. There are a lot of free intelligence tools, and events are a great source of information. But you can't be everywhere at once. Finally, you can also call on professional intelligence specialists to outsource and save yourself time." Many acceleration programs, like ToasterLAB, offer intelligence services. "This is a great opportunity to save time for yourself for higher-priority tasks, but also to get help from experts and professionals," says Anne-Laure. Of course, we know that a startup is only made up of a few people. Even so, Anne-Laure advises us to make one person in the team in charge of managing intelligence. This will allow you to organise your intelligence in terms of space (having dealt with time in the prevous paragraph): with one person "owning" the action, this will better ensure a correct transmission of relevant information to the co-founders or other staff. "One of the difficulties of intelligence gathering," says Anne-Laure, "is to make it actionable: you need to go beyond satisfying intellectual curiosity, and make it about decision-making. By designating an owner, you do this as this person will be able to think in terms of "objectives" and "actions for the company". Gathering intelligence is a totally legal and, indeed, highly recommended. However, even if ingelligence is not the same thing as espionage, it is best to do it... hmm, discreetly. "Make sure you're not leaving footprints everywhere," says Anne-Laure. "Signing up to get access to your competitor's website to study their sales conditions and email practices, for example, is not very discreet. If you must do it, use a non-identifiable email. At least, you will make it a bit harder for your competitor to know what you are doing." In terms of intelligence, the startups accelerated by ToasterLAB get the benefit of advice from our mentors, but also the services of Vitagora, the food business innovation cluster, where Anne-Laure works as intelligence analyst. To get access to our mentors and assistance, you have two solutions: sign up for our newsletter below, or apply for the program! Contact me to find out more: : claire.vanoverstraeten@vitagora.com.